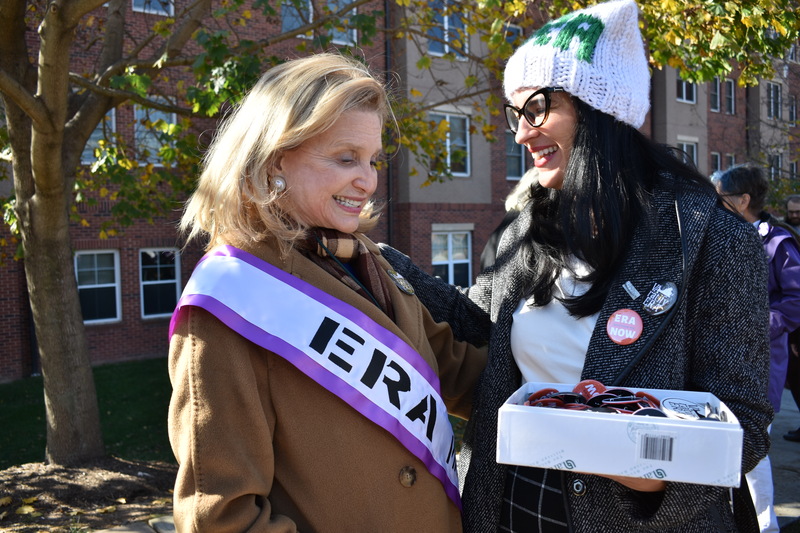 The crowd was gathered outside of Mason’s Ike’s Dining Hall on Nov. 11 to listen to community activists and elected officials discuss their plans to make Virginia the 38th state to pass the Equal Rights Amendment (ERA). If Virginia passes ERA, there would officially be enough states that have ratified ERA to make it an amendment in the U.S. Constitution. The event, 10 Days of ERA Bus Tour, began on Nov. 9 in Williamsburg at the College of William and Mary. The bus tour came from Richmond to Mason for its third day through Virginia. The goal of the bus tour is to raise awareness about ERA to people across the state. Sales coordinated with the organizers of 10 Days of ERA Bus Tour to ensure that it would make one of its stops at Mason. 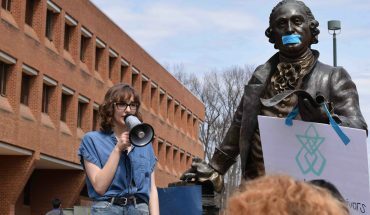 Sales explained that she wanted to make sure all Mason students were aware that ERA has not been ratified in the Constitution or in Virginia. 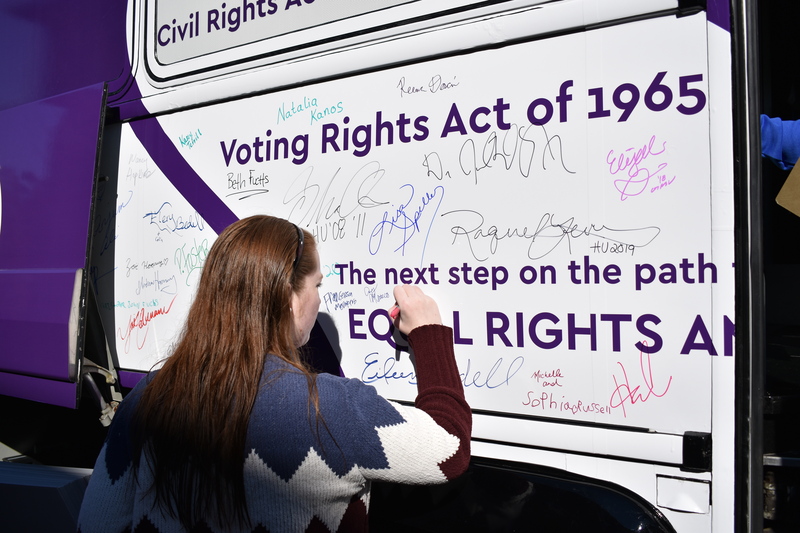 “I think a lot of women and men just expect that [ERA] is already [in the Constitution],” explained Kati Hornung, one of the minds behind the 10 Days of ERA Bus Tour. According US Legal, intermediate and strict scrutiny are both constitutional law terms that are applied to test whether or not a law is constitutional. Intermediate scrutiny is less rigorous than strict scrutiny. Strict scrutiny is considered to be the highest standard of review for when courts determine whether or not laws are constitutional. In reality, 94 percent of Americans believe that ERA should be ratified in the Constitution. Politicians like representatives Gerry Connolly and Carolyn Maloney have attempted to ratify ERA every term they have served in the House since they were first elected. Maloney, who is related to the famous suffragette and author of ERA Alice Paul, has lead the fight in Congress to ratify ERA. 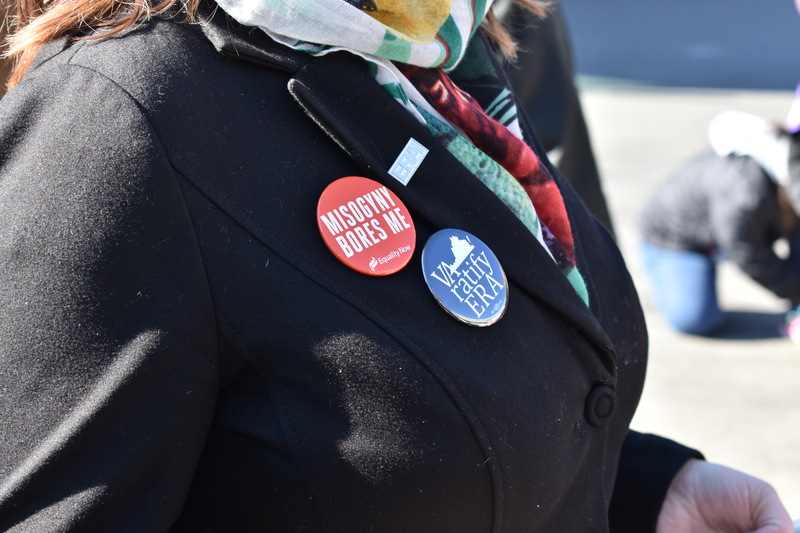 Maloney stated that ERA would finally put women on equal footing in legal systems in every state in the U.S., not just the states that have ratified ERA on their own. Connolly, an original co-sponsor of ERA with Molaney, explained that this time around, the chance of ratifying ERA feels different. Connolly and Molaney both credited Carroll Foy for bringing ERA to Virginia. 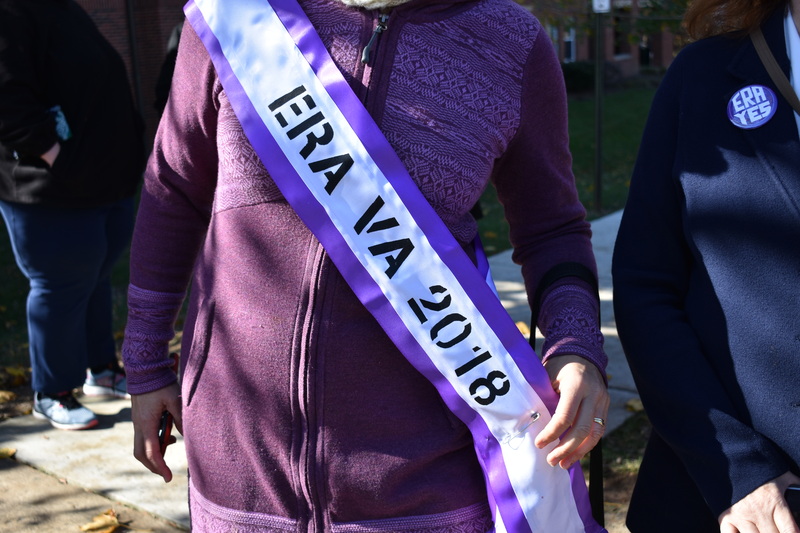 Carroll Foy was elected into the Virginia House of Delegates in November 2017 and is going to carry ERA in the House of Delegates in January 2019, when their legislative session begins. House Delegate Hala Ayala is also sponsoring ERA. 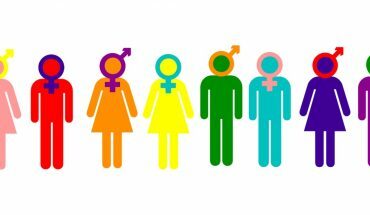 Foy is hopeful that ERA will be ratified in Virginia in 2019. She also expressed the importance of the intersectional benefits of ratifying ERA in Virginia and in the U.S.
“This will not only benefit some [women] but all women, especially minority women and women of color.” Foy explained that ratifying ERA would mean equal pay for all women in the U.S. According to a 2017 report by the AAUW, Asian women make 85 percent of what white men make. 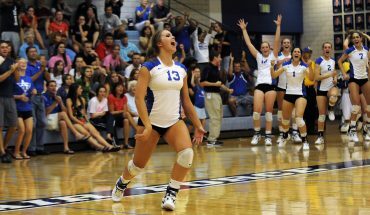 White women make 77 percent of what white men make, and African American women make 61 percent of what white men make. Additionally, Native American women make 58 percent of what white men make, and Hispanic and Latina women make 53 percent of what white men make. The way the crowd so enthusiastically gathered outside in the cold weather at Mason to listen to elected officials and activists describe their hopes for ERA to finally pass in Virginia and become an amendment in the Constitution reflected Hornung’s belief in what will finally make ERA become ratified in the Constitution.